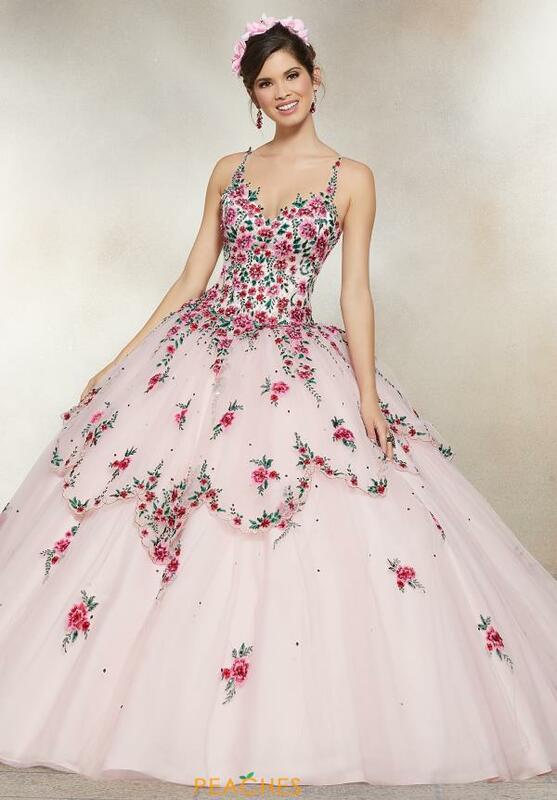 Fall in love with this graceful Vizcaya Valentina ball gown 34007, a charismatic choice that will fascinate all in sight. Lively and delightful, this beautiful gown features a modest sweetheart neckline with dainty thin straps that add a sense of comfort. 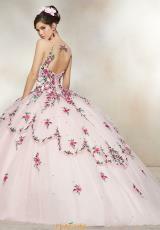 Vibrant contrasting floral appliques illustrates a romantic embroidery that transitions onto the tulle a line skirt.